Are poker players becoming more like casino players? As you’re probably well aware, we are an online casino, not a poker site. Sure, we offer online poker, but it’s not a peer-2-peer experience. Instead, you play exclusively against the house. The online poker player is an interesting breed. 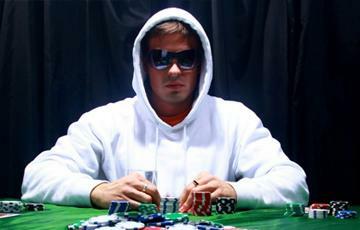 Those who play online hope and dream of burning through big live poker tournaments and winning huge sums of money. They look at the Daniel Negreanu and Phil Hellmuths of the world and hope to be as rich and famous as those guys. Online casino players? They’re usually the polar opposite. Yes, they want to win big. But they prefer to take their cash and run. When Silver Oak Casino players pop a big jackpot, we always connect with them to congratulate them. Part of our contact includes asking players if they’d mind if we’d promote their win on our website using a photo. Sometimes we ask them to provide video testimonials. Pretty much 100% of the players we talk to say no. They prefer to lay low and use their winnings to pay off debts, buy cars, pay off their mortgage, go on vacations, and other good stuff. Most players would rather not take the spotlight. That’s expected across the industry. Even those who play strategy-based games like Blackjack with the goal of being professional gamblers don’t want the fame. They just want the money. So when a poker player comes along who seems more like a casino player, the world takes notice. When Daniel Colman, one the Big One For One Drop at the World Series of Poker for $15 million, most poker players and the media expected him to react like other poker players would. Smile for the cameras. Scream with excitement. Hug those who had railed him in support throughout the event… But he did none of that. He even refused to talk to ESPN right after his win. He took a lot of heat in the poker community, with many telling him that after netting a huge win like that, he owed the poker world an interview that would put the poker community under the spotlight in a positive way. Personally, I’m not convinced. What’s wrong with a poker player walking away with big money and refusing to tell people about how they’re feeling? Poker is not a sport. Players aren’t paid to play. They pay to play. They shell out their own cash to enter a tournament. Had they been sponsored pros, or had poker been constructed like the NFL where players are paid money to enter tournaments and win cash and titles for whichever company they play for, I might be singing a different tune. But for many, poker is all about the money. Winners aren’t obligated to talk to the media just because they won some cash. How do you feel about the Daniel Colman outrage? Sound off here in our comments section or comment on Facebook. Like this article? Don’t forget to tweet it.